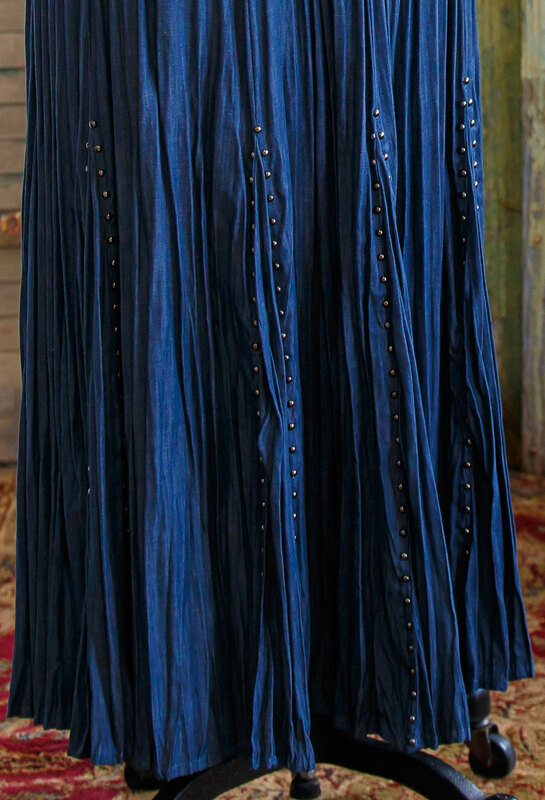 Denim Gore Skirt has antiqued studs outlining 6 godets surrounding the skirt hem. 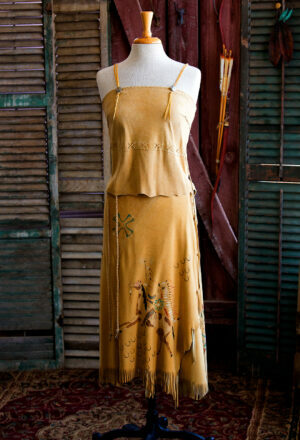 A godet is an extra piece of wedge shaped fabric set into the hem of a skirt or dress. 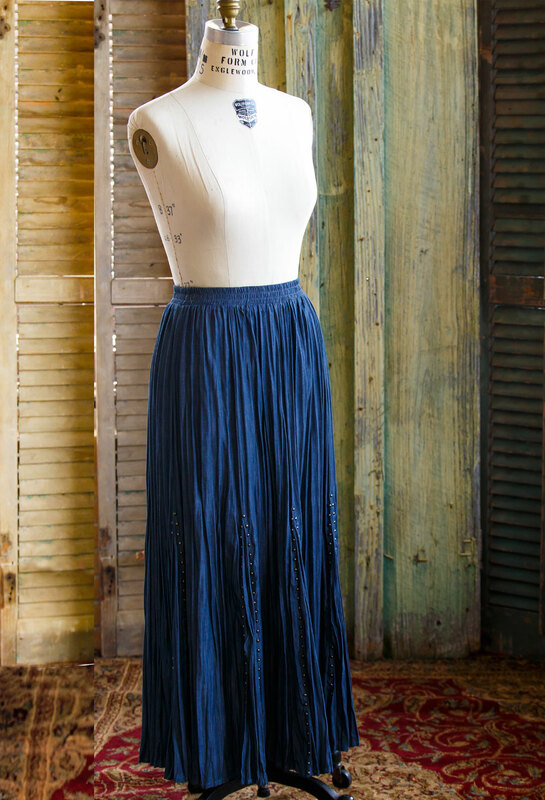 The addition of a godet causes the skirt to flare, thus adding volume and flair. 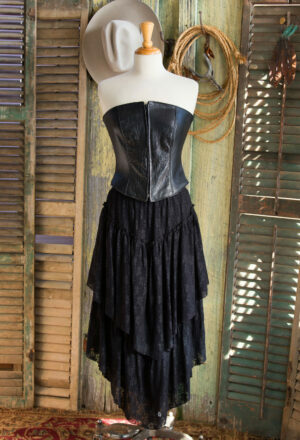 This beautiful skirt is made from a light weight denim, making it a pleasure to wear. Skirt length is 34 inches. Let us customize it for you by requesting any length you prefer since we custom make every skirt to your liking!